0.5mm (half mm) round cotton wax cords, color as per picture, pack of 100 meter spool. full sleeve long yoga kurta in cotton, size : chest 109 x height 103 x sleeve 57 centimeters. 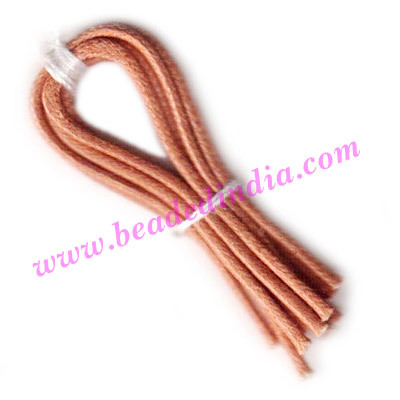 Leather Cords 1.0mm (one mm) round, regular color - chocolate. Leather Cords 2.0mm (two mm) round, regular color - white.